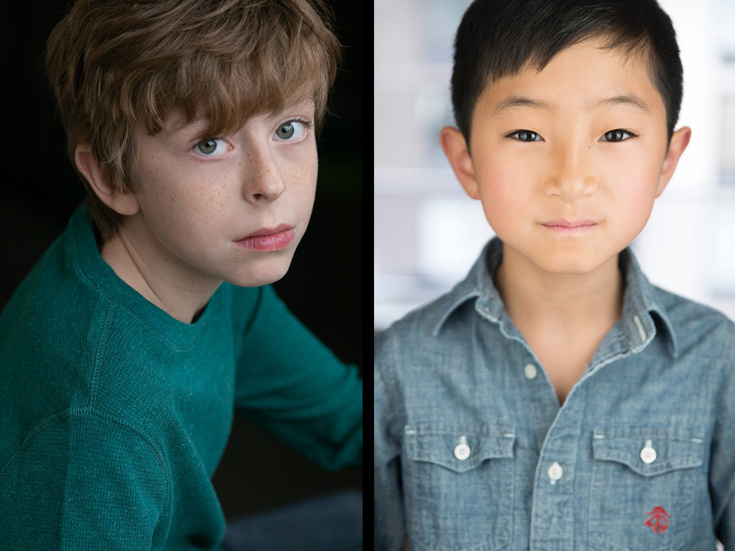 Rising stars Thatcher Jacobs and Jim Kaplan will share the role of Jason in the upcoming national touring production of William Finn and James Lapine's Falsettos. The pair of young actors complete the tight-knit family of the Tony-nominated musical revival, directed by co-book writer Lapine, set to begin at the Walton Arts Center in Fayetteville, AR (February 8-9, 2019) followed by an official opening engagement at the Golden Gate Theater in San Francisco, CA from March 19 through April 14. Jacobs and Kaplan join a previously announced cast that includes Tony nominee Max von Essen as Marvin, Nick Adams as Whizzer, Eden Espinosa as Trina, Nick Blaemire as Mendel, Audrey Cardwell as Cordelia and Bryonha Marie Parham as Dr. Charlotte, with an ensemble including Josh Canfield, Melanie Evans, Megan Loughran and Darick Pead. Falsettos revolves around the life of a charming, intelligent, neurotic gay man named Marvin (von Essen), his wife (Espinosa), lover (Adams), about-to-be-Bar-Mitzvahed son (Jacobs and Kaplan), their psychiatrist (Blaemire) and the lesbians next door (Cardwell and Parham). The touring production of Falsettos will feature choreography by Spencer Liff, scenic design by David Rockwell, costume design by Jennifer Caprio, lighting design by Jeff Croiter and sound design by Dan Moses Schreier, with music supervision by Vadim Feichtner and the original orchestrations of Michael Starobin.